As a brand ambassador for Vanguard South Africa, I am very fortunate to try various products in the extensive Vanguard bag and tripod ranges. 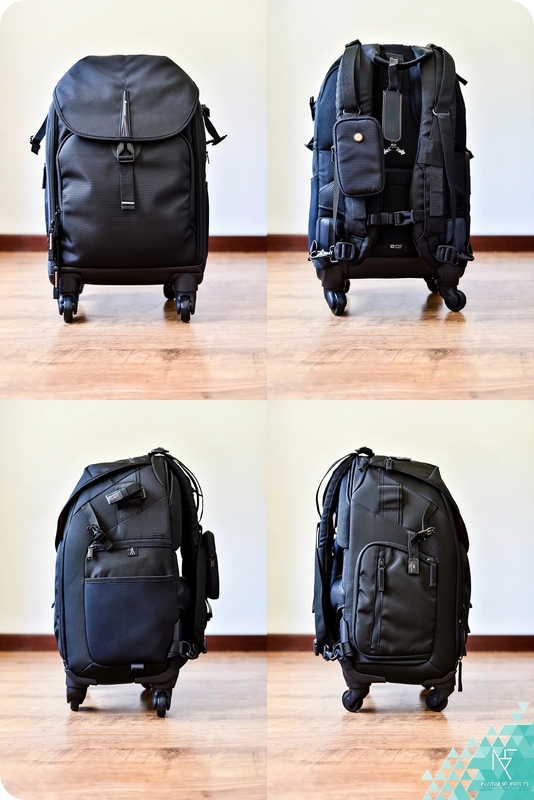 When given the option to upgrade my current backpack, I was quick to pick the Heralder 51T: A dual system bag combining the best aspects of a backpack and trolley bag. 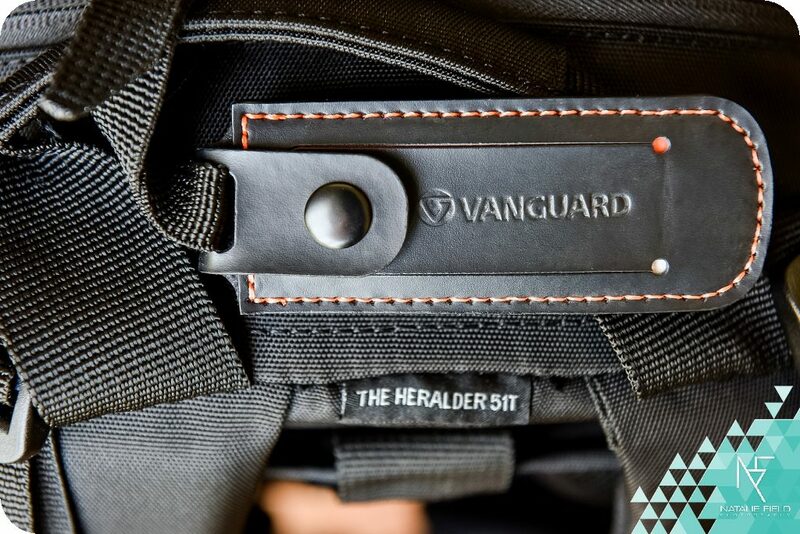 The Vanguard Heralder 51T’s trolley option jumped out at me as the perfect solution for the ever-increasing weight I’m lugging around. With four wheels that can rotate in any given direction (including spinning around on its axis), it is a very smooth ride. 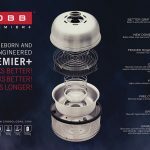 The handle is hidden away in a zipped pocket at the top of the bag and extends out to a comfortable height when required. To further increase the functionality of the trolley option, the backpack straps can be unclipped and stowed away in the back of the bag to avoid it dragging along the floor or getting underfoot. Very handy. That said, from my experience living in London I know that a trolley bag isn’t much use when faced with flights of stairs, so having the backpack as a second option just makes so much sense. The handle can then be retracted into the top and the straps clipped back into position. Handy rear wheel covers hidden at the base of the bag can also be popped out and used to avoid getting dirt on yourself on your way to your big shoot! This large capacity bag can take two professional camera bodies, 4-6 lenses, 2 flash units and accessories (memory cards, batteries, chargers and cables), as well as a 14” laptop or tablet in a padded compartment. Unfortunately, this means that my 17” beast of a laptop will still have to ride on my back. It took a little manoeuvring, but the inner panels are all movable (and removable should you wish to use the bag as a standard travel case) and I was able to fit all the important pieces into the puzzle. Another important feature is the 4-step tripod carrying system, which allows you to strap your tripod to the side of the bag with ease. Other nifty extras include a rain cover to protect your gear on those not so perfect days, an easy access cell phone holder, accessories pouch and name card holder. The Heralder 51T also features pockets on the front, top and sides of the bag for any extras you might be carrying. The two-part memory card pocket works well for an “in” and “out” system to keep your used cards separated, but perhaps for future models Vanguard could consider increasing the capacity of these specific pockets to hold a few more cards at a time. I think it is worth a mention that the dimensions of 355x295x575mm does exceed the ASCA approved hand luggage specifications of 360x230x560mm ever so slightly. With the bag itself weighing in at 4.35kg and the maximum load recommend by Vanguard at 16.4kg (all of which I intend on using) the weight limit of 7kg hand luggage is a problem in itself. Needless to say I am not looking forward to negotiations at my next flight’s check-in, but will be sure to put an update of my experience. All in all, it is a well designed bag with beautiful finishes like the magnet strips to secure the pouches, branded lining and neat stitching that carry a sense of luxury. 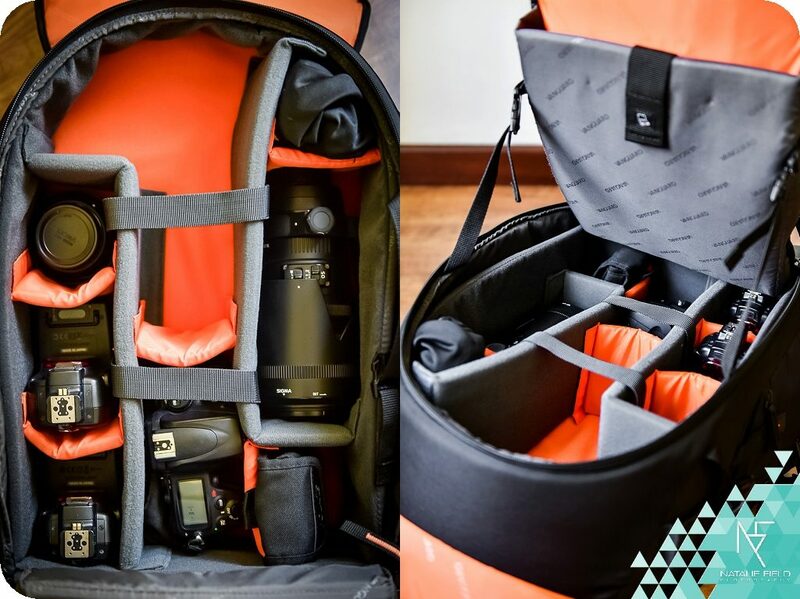 It is both attractive and (most importantly) functional: the ultimate in convenience for the professional photographer who enjoys travelling and working on location. 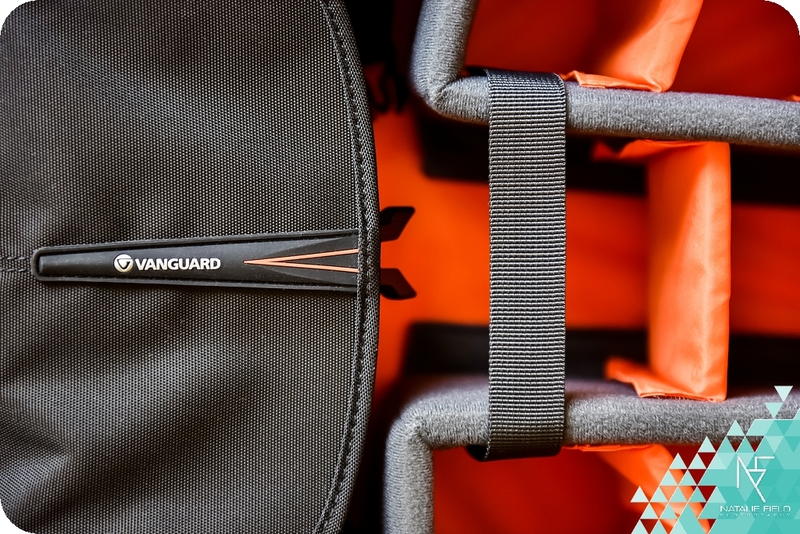 For more information on this product and others in the Vanguard line, you can visit their page VanguardWorld. 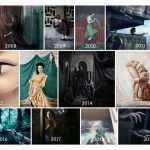 For local purchases please contact me directly at sales@nataliefield.photography.